We invite you to join RubyConf Brasil 2017, taking place in Sao Paulo November 17-18. This year, the event will feature a full lineup of new features and keynote speakers in the IT marketplace by bringing content to developers who want to grow their knowledge of Ruby, Ruby on Rails, Agile Techniques, Devops, and other technologies like Elixir, Clojure, Go, Rust and Crystal. 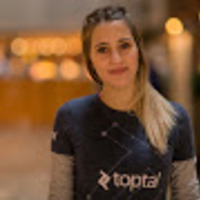 The event will feature several talks and discussions, including one from Jonatas Paganini, Back-end Developer at Toptal. Jonatas will give a talk on November 17th from 3:20 PM entitled “Manipulating Ruby Abstract Syntax Tree.” In this talk, Jonatas will show how Ruby code is tokenized and parsed. We’ll go deeper into the Abstract Syntax Tree and you’ll learn how tools like RuboCop work, and also how you can create your own patterns to check code systematically. The event will take place at the Fecomercio SP. For more information on the event, please visit the event website.